A twenty-year-old secret explodes to destroy everything precious to Rachel and Ethan, including what they mean to each other. She does the only thing she can do; she runs from the pain. Ethan is left to search for her, but he doesn’t know where she went or how he can repair what is so utterly broken—until his mother opens the door called “hope.” But through that same door steps the Civil War. 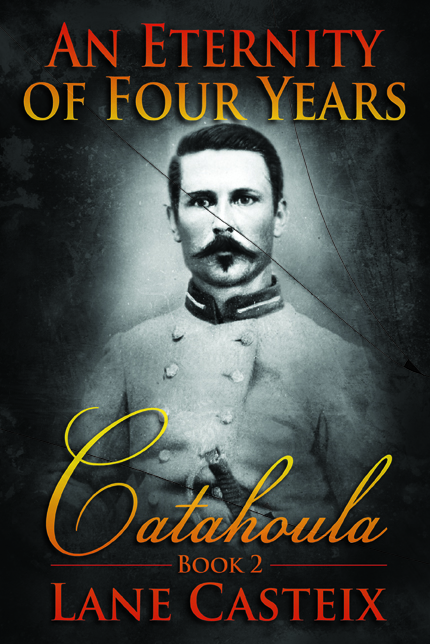 From the Field of Honor in New Orleans to the killing fields of Virginia, Maryland, and Pennsylvania, Ethan finds himself trapped in a war that seems to go on forever, a war that is keeping him from his quest. The longer it makes him wait, the more difficult finding Rachel becomes. Frustrated, often depressed, and well on his way to becoming a drunkard, Ethan has one friend who truly cares for him, Blue, a slave he won in a duel. Convinced God sent Ethan to rescue him from an evil master, a debt he must somehow repay, Blue vows to help him find Rachel (and his faith) again. And the Legend of Rachel and Ethan is born. The digital version is available for purchase at the following vendors: Amazon, Apple, Barnes and Noble, and Kobo. The print (paperback) version is available at Amazon and Create Space. Glad you enjoyed the experience. Thank you for your encouraging words. Book 2 An Eternity of Four Years is not available on B&N. It is exclusive to Amazon right now and can be purchased as a download to a Kindle device, iPad or computer running the free Kindle app. Go to the link below for the free app and to purchase the book as a digital file or paperback. I will also give a link below where you can convert a Kindle epub file to run on a Nook. And for your information, Book 3 The Avenging Angel is in the works.